1. 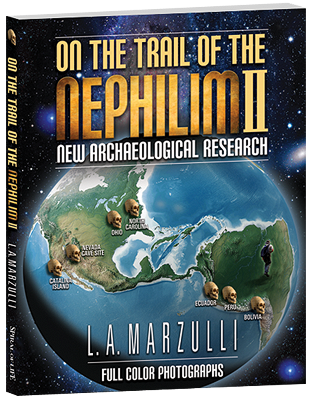 On the Trail of the Nephilim II! I am releasing this chapter from On the Trail of the Nephilim II, because of an incident which involves a major Television Network. 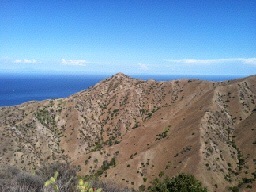 Several months ago I foolishly sent a photograph of what I found on Catalina Island to another researcher. I had never met this individual but had talked to him over the phone several times. In short I trusted him. Unbeknownst to me at the time, was this individual had a contractual agreement with a production company to produce a series of shows on giants. Armed with knowing the picture existed the production team then flew him out Catalina Island, so he could see it for himself. While the picture that I discovered in the archives is not my property, the research and discovery of what turns out to be an 8.5 footer is. 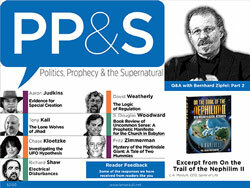 There were also other discoveries which I made there and are included in the book. I am releasing this chapter—the other discoveries are omitted from this post—in order to establish that the discovery was mine. 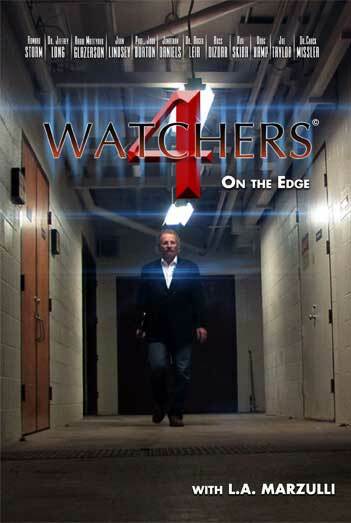 I have been told this program has been picked up by a network and will be aired in November, so I am publishing this information in order to set the recored straight. 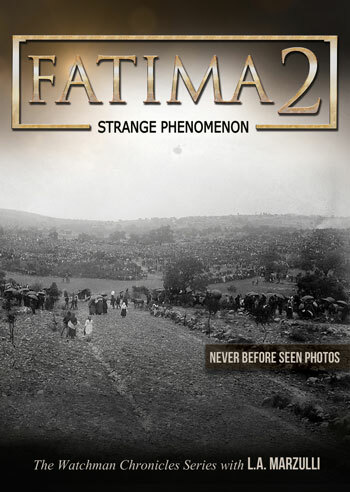 Below is the chapter along with one of the three technicians who analyzed the photograph. This was a triple blind study and resulted in the affirmation that the skeleton, found in situ, in front of Ralph Glidden, was in fact, well over eight feet in height. I heard from several resources about giant skeletons being unearthed on Catalina. One source was Micah E., who contributed many of the old newspaper clippings in Volume 1, of, On the Trail. 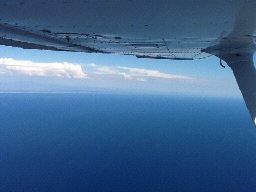 However, what was key to my research, came from a book authored by Jim Watson, entitled, Mysterious Catalina. I called Jim and we discussed his book and the chapter on the giant skeletons. Jim had done his homework and the chapter went into detail about Ralph Glidden, who was the man responsible for conducting primitive archaeological digs on the island, in the 1920’s and 30’s. 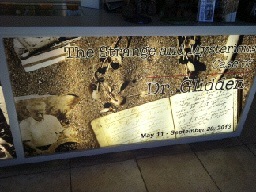 Glidden had opened a museum and displayed his finds to the public. According to Jim’s research, Glidden had not only combed Catalina island looking for artifacts and skeletons, but many of the other islands in what make up the Channel Island chain. 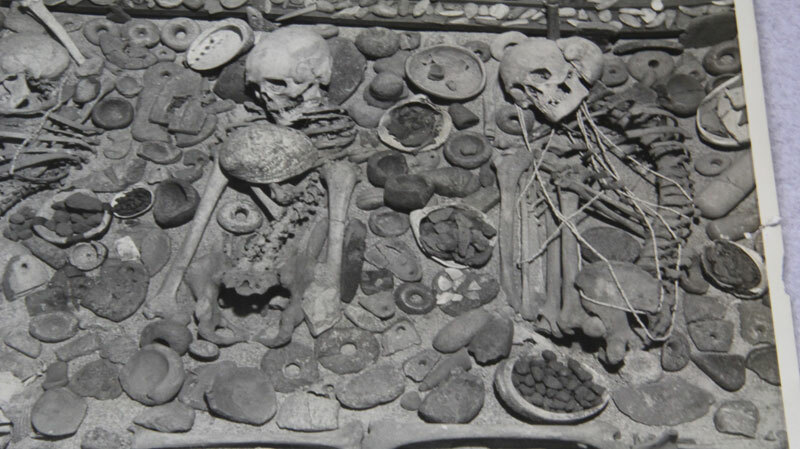 Glidden was successful in his endeavors as he unearthed hundreds of Native American skeletons. He was also employed by the Heye Museum who displayed his discoveries in its museum. However, there seemed to be another race of beings which Glidden also found on the island and these were the giants of upward of 9 feet! 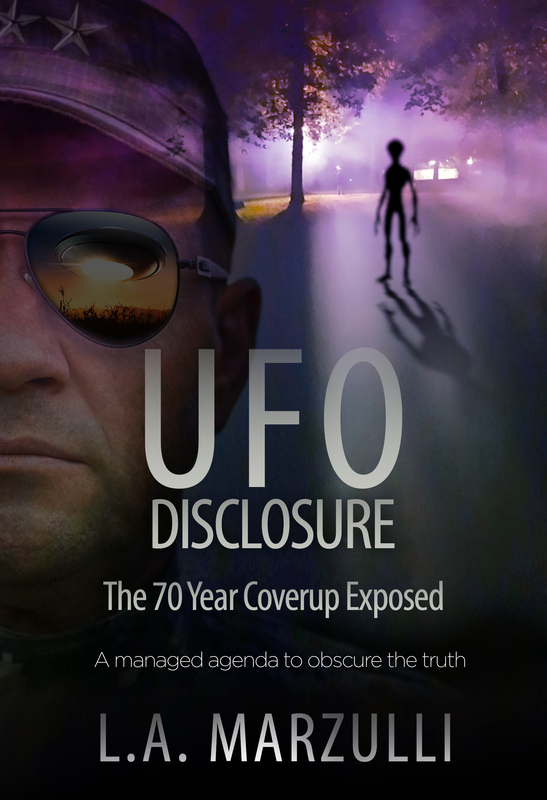 These finds were sensationalized in the Los Angeles Times. 11The Mysterious Children’s Graves on Catalina Isle – Alma Overholt – Los Angeles TImes (1923-Current File); Nove 6 1932 ProQuest Historical Newspapers Los Angeles TImes (1881 – 1989)! When Glidden passed away, the artifacts and skeletons in his museum were donated to the University of Santa Barbara.As I found out later, the collection was split up into three parts, one part being held in UCLA, the other in England and the third in France!Without trying to sound like a conspiratologist, I believe the collection has been long since “sanitized.” What I mean by this is that anything that might hint at something out of the ordinary, or that would go against the Darwinian paradigm was more than likely removed from the collection at some point in the distant past. Of course this is only a theory as I have no way of proving it one way or the other.In other words why do we have a story from the Los Angeles Times which indicates a large skeleton upward of nine feet was locates? Is it a Barnum & Bailey type of hype? Is it a ploy to sell papers? Is the reporter creating a story to titillate the public’s imagination, or is it based on fact? Was the reporter being honest in her writing up the story? Did she happen to see the nine footer? We’ll never know for certain, but we do have the newspaper report from 1923 and it states that Glidden found large skeletons. The big question for me is, what happened to it?I was privileged to view part of the collection at UCLA. I was accompanied by Jim Watson and we were met by the Archaeologist in charge of the collection, W. T.Jim had arranged the meeting and I found myself in the back room, which the general public does not have access to, where we were met by a member of the Chumash tribe, who was in his early twenties and may have been a student. He was there to make sure no photographs were taken as well as we showed the proper respect when viewing the remains. He remained with us for over an hour and then left. This is standard protocol when viewing the remains of Native Americans, but while I found this interesting, I wasn’t looking for Native Americans. I was looking for an unknown race of beings and perhaps, according to my theory the remains of the Nephilim, who I believed migrated here from the Levant thousands of years ago to escape being destroyed by the armies of Joshua and Israel.During this time we were led into the room that housed part of Glidden’s collection. 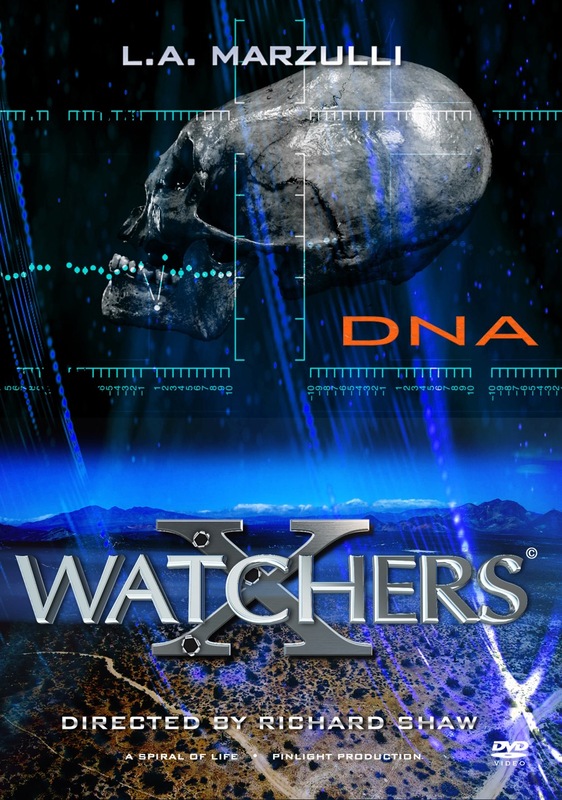 I saw row after row of what were Native American skulls, as well as other human remains, but it soon became clear that we were not going to see anything out of the ordinary.I asked a Forensic Anthropologist who was with us, what he thought of Glidden. He scoffed and commented, “he was little more than a grave robber!”I had also brought with me the cast of the skull from Paracas, made by Joe Taylor. 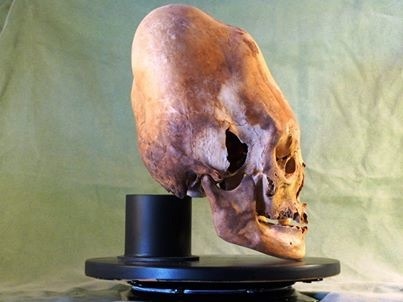 This skull was found in Paracas and I have covered this in Volume I of On the Trail of the Nephilim. However, I will include a picture of it here as well. When I showed him the skull he looked at it and then handed it back to me saying, “it’s cradle head-boarding.”Handing it back to him I told him to take another look at it. He looked at more closely and his jaw dropped as he asked, “Where did you get this.” I then told him about what I had discovered in Peru.This led to a discussion about Darwinism and the prevailing view that human beings came across the Bering Straight at the end of the last ice age. Several days later I sent him a photo of the Chongos skull.We left the museum and Jim and I had dinner together. Jim informed me that an old journal, photos and letters had been discovered on Catalina island by John Boraginna, the curator of the Catalina Island Museum.22 http://articles.latimes.com/2012/apr/02/local/la-me-catalina-bones-20120402I was intrigued and asked if there was a way I could view it and take photographs of it.This all took place in February, 2013, and now, months later, in the early part of September, 2013 I was finally making my way to Catalina Island museum, where I was about to view and study Glidden’s journal, after the museum closed for the night.I hired the services of Terry Johnston to fly me here for two reasons. The first being I wanted to get a good aerial view of the island and the second was I would have access to the interior of the island which the typical tourist does not see. Terry informed me I was going to fly the plane. At first I thought he was kidding, but he assured me he wasn’t. 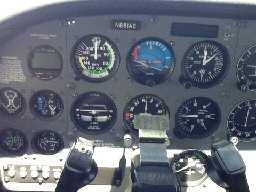 We went through a check list and I found myself flipping switches and looking at gauges and instruments, which I had no idea of what they did! 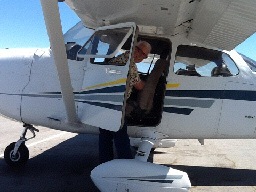 He shook his head and then showed me how to keep the wheel and the nose level and the instruments pointed south—the direction we were headed!I took the wheel and looked at the instruments and kept the plane on course and to my utter amazement and joy, I got the hang of it and started laughing as I realized I was flying an airplane!I had no idea Terry was going to do this and it was a fantastic experience at the hands of a trained flight instructor.As we neared the island, Terry took the wheel and maneuvered the plane toward the runway on Catalina, which as I said is perched on top of a mountain.He landed the plane and taxied over to the side of the runway and we shut the engine down. Then we went to the tower to “check in.”We sat in a restaurant at the airport, where there were only two other people, and had a Pepsi and talked about how great the short flight was. I then watched Terry take off and then turned my attention to when Jim Watson would meet up with me and take me to the museum, in Avalon. Jim arrived a short time later in a VW Bus, which was left over from the Hippie years of the 1960’s! Jim introduced me to “Lorekeeper Chuck,” the owner and driver of the van and after throwing my gear in the back we started toward the main city of Avalon.We bounced our way along a rutted dirt road, through the interior of Catalina Island which looks like the way it did hundreds of years ago. There are buffalo which were brought to the island at the turn of the last century and a small heard of about 100 or so roam the island. 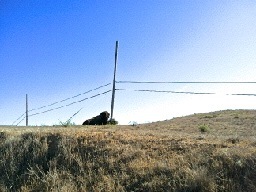 Here is a shot of a bull that was lying near the road. After a few more turns in the road I found myself staring at rugged mountain peaks and the deep blue water of the Pacific. The Van made its way down the mountainside along a narrow two- lane road, having no guard rails to keep an errant driver from plunging over the side perhaps hundreds of feet to an assured death.At the roads end we found ourselves at a gate, which kept the general public from accessing the interior of the Island. Lorekeeper Chuck inserted a card and the gate opened. We were on the last part of our journey to the city of Avalon. I was eager to get to the museum as I had only a limited amount of time to view the artifacts, photos, and journals I had been given access to.I thanked Loorekeeper Chuck for the ride, conversation and newly found friendship and then Jim and I headed on foot toward the museum.Catalina is beautiful, but Avalon is a tourist trap! 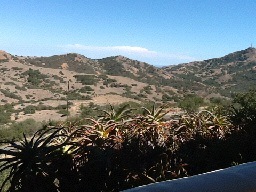 I had been out to the island numerous time, mostly when our kids were young as we live just North of Los Angeles in the Santa Monica Mountains. It’s always a fun place to spend the day, but everyone else and his brother has the same idea and the streets are bustling with tourists from all over the globe, especially in the summer. There are restaurants everywhere and there’s no end to the variety of food one can summon up from the diverse menus.We arrived at the museum a few minutes before closing, which is what I had been instructed to do. The Glidden display was being featured and this is what greeted me in the front of the museum. I was greeted by John Boraggina, the museums director and he led me to a room that was off the main part of the exhibit hallway. I found myself in a small room, sort of the inner sanctum of the museum, where two tables had been covered with new, crisp, white paper. On them were several museum boxes. I set up my camera and after donning white gloves, began to pour over the docs inside the boxes. I had asked to see any photographs Glidden may have taken of his “digs,” so the first box I was presented with had file after file of pictures. 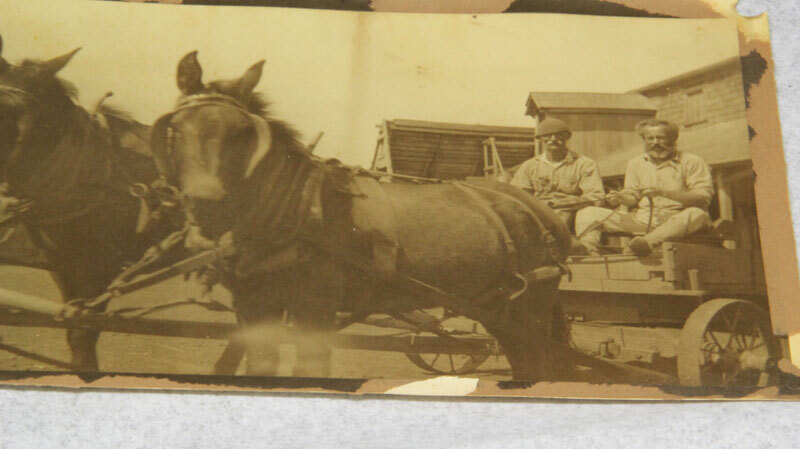 There were hundreds of photographs and each one had been cataloged in a folder. Many of the photographs were in plastic sleeves. I was delighted to be able to take them out of their protective plastic casings and photograph the ones I found interesting. However, I realized this was another “old trail,” as all of the photographs, letter, and journals had been cataloged and filed neatly and professionally and put in the boxes that were set in front of me.Here’s an example of some of the photographs that were in the collection. This picture intrigued me as the skull did not look like the typical Native American. I was instantly frustrated as I realized Glidden never used any measuring tool to indicate the size of what he had uncovered. Not a ruler anywhere!Here’s a photograph of one of the boxes I had access to. I poured through several files and then hit what I would call pay-dirt. A picture is worth a thousand words and here it is. 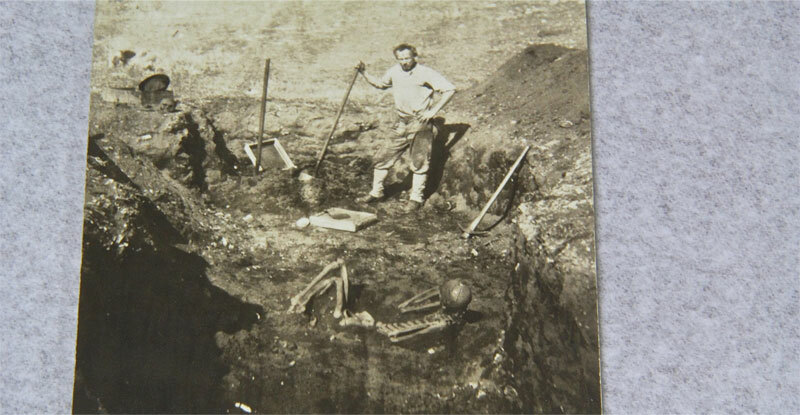 Finally, a picture with a large skeleton, in situ, with Ralph Glidden leaning on a shovel! In one word, priceless!There are other objects around Glidden which will be able to help determine the size of the skeleton lying in the forefront of the picture. But before we break it down Glidden’s journal, with maddening brief and sporadic entries, tells of a large skeleton found on one of the islands which make up the Channel Islands. 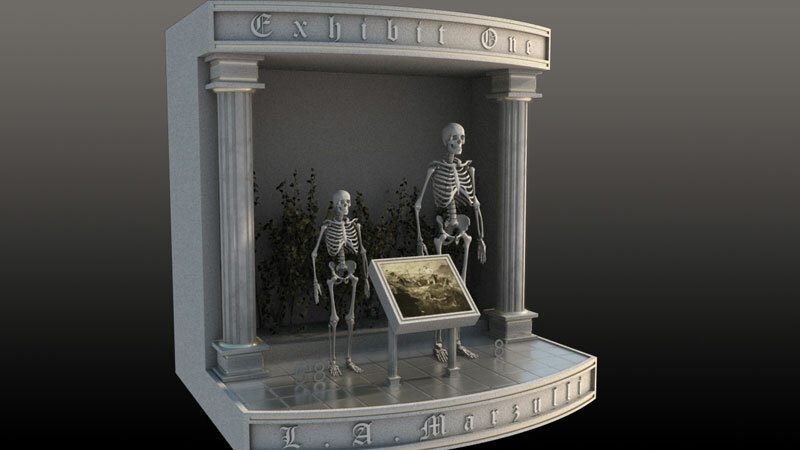 As you will see, this entry indicates that the skeleton remains were found on the Island of San Miguel, in 1919. 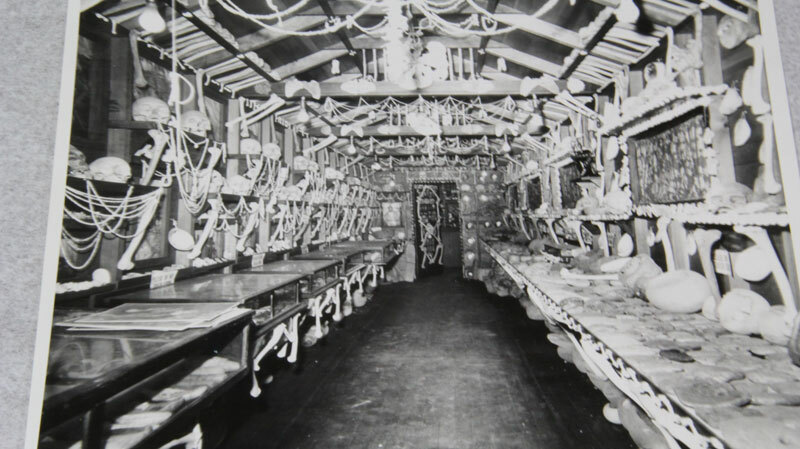 The photograph showing the large skeleton with Glidden standing behind it, according to the writing on the back of it, was taken on Catalina Island. The photograph was cataloged in the Catalina folder as I previously showed. After lining up the photo and recreating what I could in 3d and analyzing the distance between the 2 figures, I have come to the conclusion that the 2 figures are about 7 to 8 feet apart. Then I posed and scaled a 3d skeleton model in the same way as in the photo, and set it about 7.5 feet away from a 5’10” marker. The skeleton in the photograph appears to be between 8′ and 8′ 3″ as best as I can determine it.Later on in the evening I will provide some additional graphics to support my results using the 3d model. 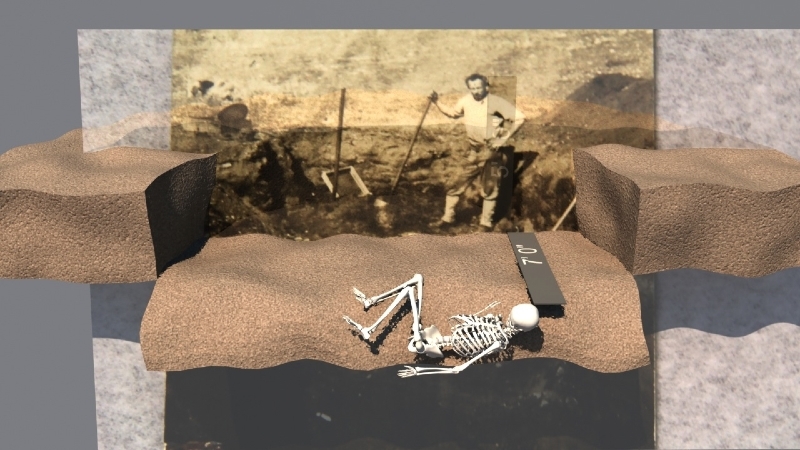 I also set up an animation showing the photo on, the skeleton fades on in position, then the recreated dirt fades on, then the camera swings around to give a different perspective showing the distance between the two. Let me know if you are interested in that as the final video may be larger than 10 megs and difficult to send through email. Great guess on the 8 footer. I have enclosed a graphic of 2 skeletons standing next to each other for scale reference, the first being 5’10” and the other at 8′.I appreciate the opportunity and please don’t hesitate to contact me with similar requests. I just love this stuff! Thank you so much, hope to hear your reaction soon.Thanks! John Healy put the skeleton at just over eight feet six inches. So here is what the skeletons look like side by side. The Bible is full of strange and supernatural events. 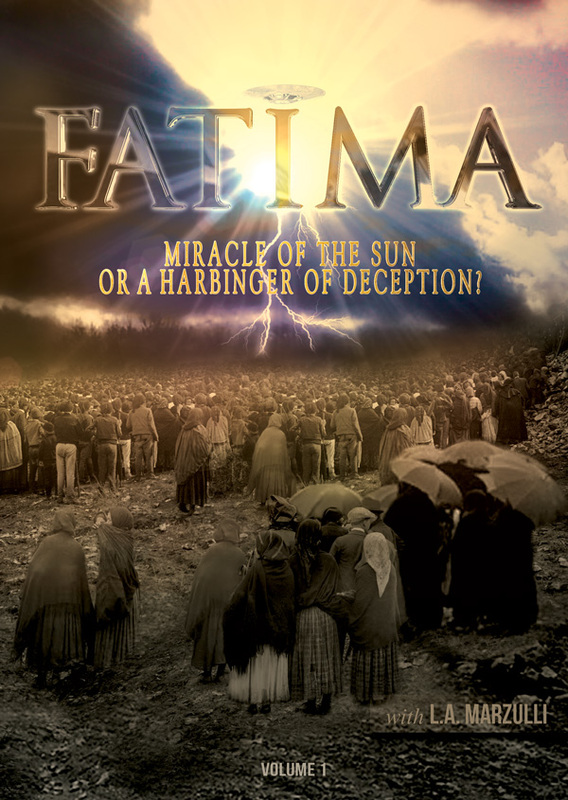 But there is none stranger than the events of the sixth chapter of the Book of Genesis. Theologians have speculated and debated this bizarre passage of Scripture for thousands of years—and the debate rages on today hotter than ever! 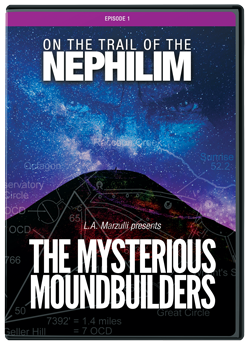 Best-selling author, L.A. Marzulli, lies at the root of this new paradigm, challenging the status quo of historical events and suggesting a cover-up of “gigantic” proportions.His first book on the subject, On the Trail of the Nephilim, Volume 1, opened up the minds of people worldwide, stirring up a controversy that challenges the literal interpretation of Scripture and pushes the boundaries to the very edge. 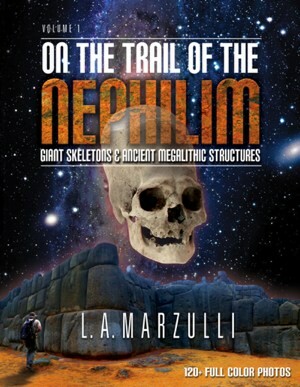 Traveling to Paracas, Peru, and other relatively-unknown places in South America, the author began to hunt for proof of a hybrid race of beings the Bible calls the “Nephilim.” His search left no stone unturned—public museums, private skull and skeleton collections, secret caves known only to locals, interviews with archaeologists and curators . 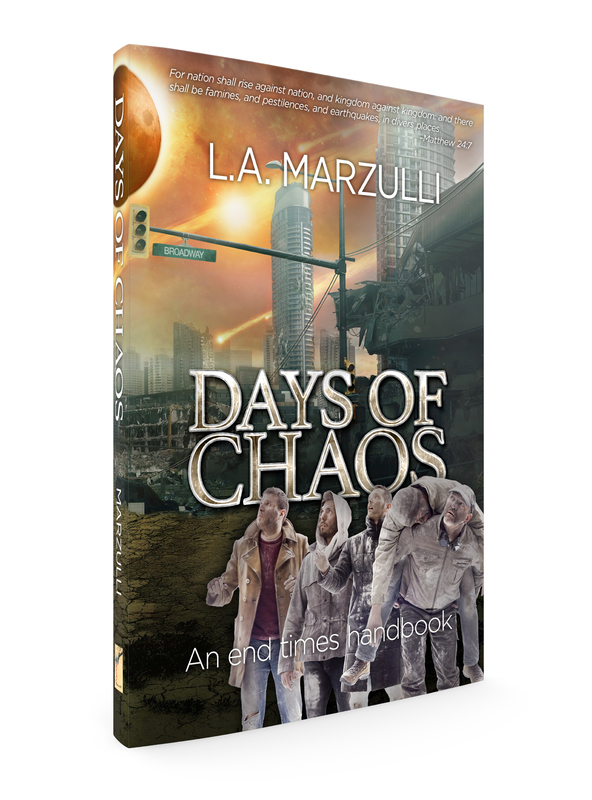 . . what Marzulli discovered has turned the world upside down, upsetting a few Darwinian apple carts along the way. 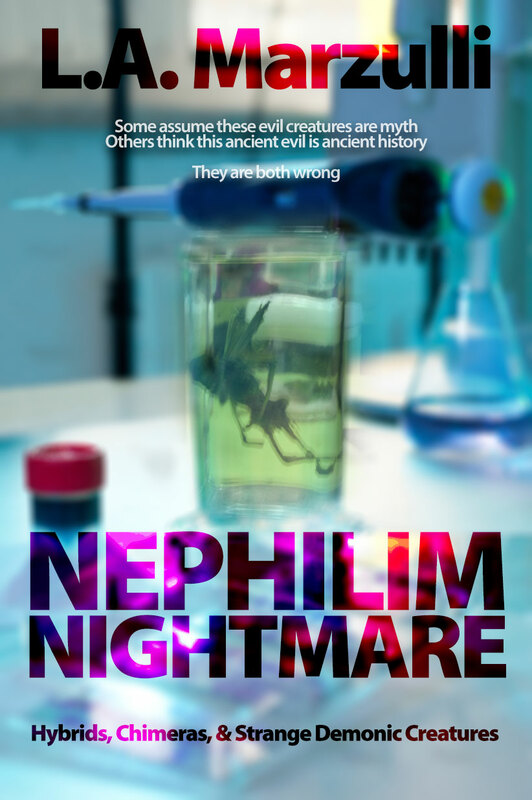 Once you have laid eyes on a gigantic Nephilim skull, your worldview may change.To put it simply, Genesis 6 describes an event that would change history. 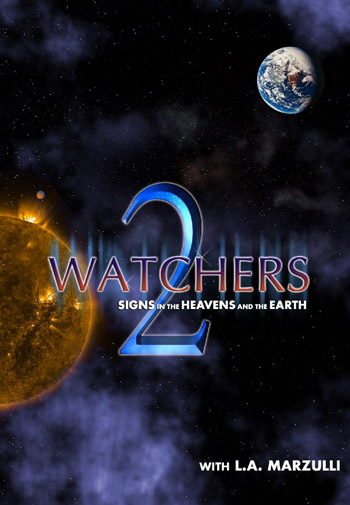 The “sons of God,” or as some would call them, fallen angels, saw the “daughters of men” on the Earth. They left their first estate in heaven (Jude 1:6), took human wives for themselves, and produced a hybrid offspring! As strange as that sounds to us, the biblical account seems clear. 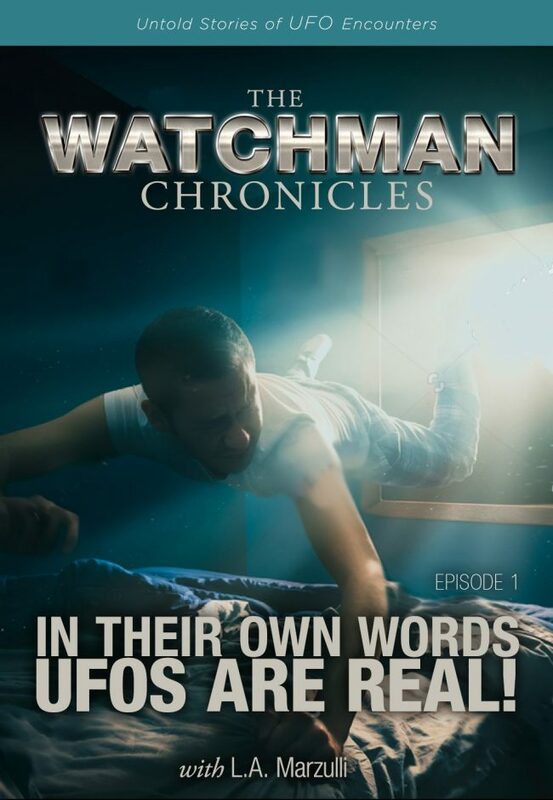 It is further corroborated by other extra-biblical books like the writings of Jewish historian, Flavius Josephus, and the Book of Enoch. The Great Flood of Noah soon thereafter wiped out virtually all of humanity. 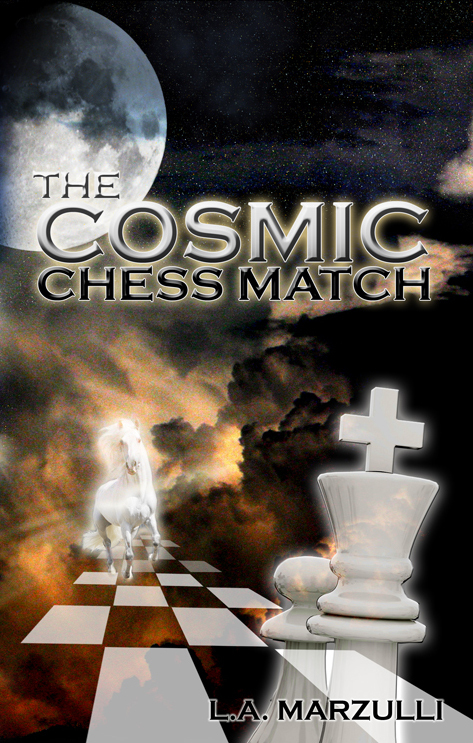 God started over with eight people, wiping the corrupt “Nephilim seed” off of planet Earth.L.A.’s skull-hunting adventures didn’t end with that first Paracas trip. His discoveries were ground-breaking, (pictures are worth a thousand words), but he knew there was much more to unearth. On the Trail Volume 2 is the permanent record of his return trip to Peru, complete with mummies, museums, caves, graveyards, gigantic skulls, skeletons and much more.During the time between these two adventures. L.A. made another discovery, right in his own backyard! In the early years of the 20th century, excavations were conducted by an amateur archaeologist by the name of Ralph Glidden. It seems that Glidden was unearthing massive skeletons on Catalina Island, right off the coast of California, many well over 8 and 9 feet tall! Glidden’s private diaries were accidentally discovered and soon the author was on a plane, flying to Catalina Island, photographing Glidden’s proof-positive accounts—complete with pictures! Yes, skeletons of real giants! 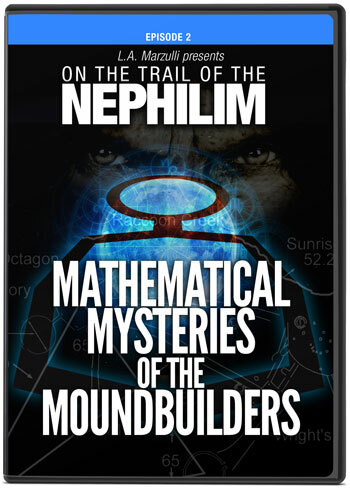 You will see these pictures and read about Glidden’s adventures from the 1920s and 30s, right here in On the Trail of the Nephilim Volume 2.L.A. 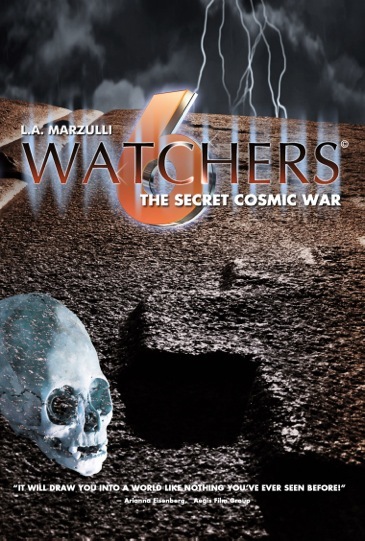 Marzulli is an author, conference speaker, blogger and a frequent guest on programs such as Hagman and Hagman and Coast to Coast. 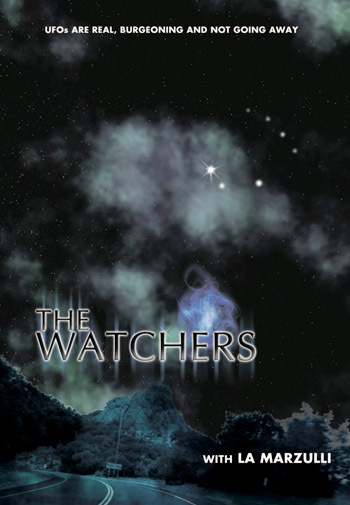 L.A. is also co-creator of the Watchers Series and the host of a new television program, Watchers TV. 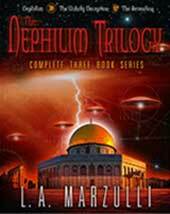 L.A. has written nine books, The Nephilim Trilogy series, Politics, Prophecy & the Supernatural, The Cosmic Chess Match, Alien Interviews, On the Trail of the Nephilim Volumes 1 & 2 and Further Evidence. 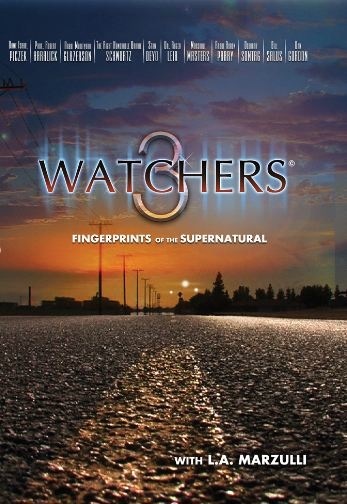 He has now completed eight award-winning DVDs in the Watchers Series, where he and partner Richard Shaw explore the strange and the supernatural things occurring all around the world; from the Nephilim; to UFOs; to the Shroud of Turin, these curiosity seekers are always “on the trail” of an exciting Bible-based new adventure. 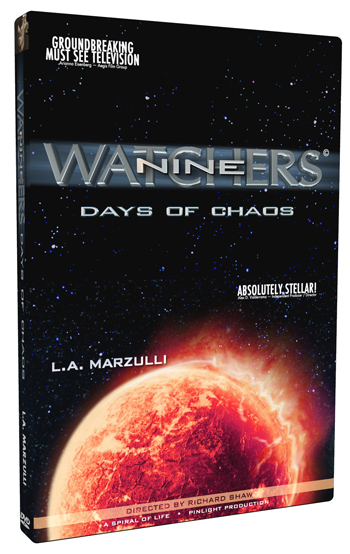 Pre-order your copy today at lamarzulli.net! Copyright © 2014 Spiral of Life/L.A. Marzulli, All rights reserved. From time to time, we send special offers to people who we have had contact with at some point in the past. If you no longer desire to receive email from us, please use the “Unsubscribe” link at the bottom of this email and your address will be removed.